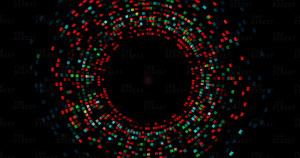 15 Years Ago, We Sequenced the Human Genome. Now We Can 3D Map It. THE NEXT STEP. In 2003, researchers sequenced the human genome for the first time, writing out all 3 billion of the DNA base pairs that dictate every aspect of our makeup. Now, a new team of researchers has figured out a way to create a 3D image of this valuable roadmap to human biology. They published their research on Tuesday in the Journal of Cell Biology. A BETTER MAP. After we sequenced the human genome, we had a (very) long list of letters. We knew about the double helix, and that every human cell contained this entire sequence of DNA in more or less this particular order, but we didn’t know much about the three-dimensional location of the DNA pairs — that is, where the various pairs in the double helix were located in relationship to the cell’s nuclear structures. That’s important, because it can tell us a lot about their function and activity. That’s where this new study from the University of Illinois at Urbana-Champaign comes into play. Those researchers developed a mapping technique they call tyramide signal amplification sequencing (TSA-Seq). Tyramide is a molecule that, once it’s released from a special enzyme placed around particular nuclear structures, tags any DNA it happens to be around. The closer a gene is to those particular structures, the stronger the signal from the tyramide label — the same way your clothes get more damp if you’re standing closer to a sprinkler. LOCATION, LOCATION, LOCATION. The researchers tested TSA-Seq in leukemia cells in the lab (don’t worry, the cells weren’t alive). They figured out that genes closer to one kind of nuclear structure (nuclear speckles) were often more active than those closer to another (nuclear lamina). We don’t actually know what nuclear speckles do, but we might be better equipped to figure that out now that we know they seem to play some sort of role in genetic activity. “The logic of this nuclear organization remains to be determined, but our model would suggest that chromosome movements of just a few hundred nanometers could have substantial functional significance,” researcher Andrew Belmont said in a news release. For now, the team plans to continue developing its TSA-Seq technique. Eventually, the researchers hope to map the 3D positions of genes in other types of cells, focusing on how the positions might change as the cells age or become diseased. The more we learn about the structure of the human genome, the better equipped we’ll be to eventually write a genome of our own.